It's always great coming here as you never know exactly what you might be having and tonight there's some brand new dishes on show. As usual we start with Champagne Ruinart followed by the liquid nitrogen starter. It's now being presented in a softer more chewier form - you don't quite get that billowing dragon-like clouds escaping from your nostrils. 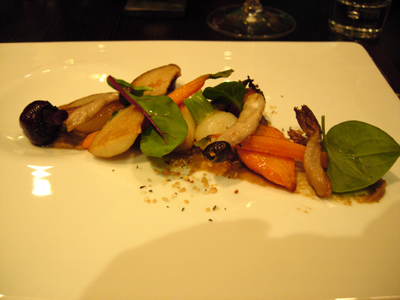 In the mix you'll find baby beetroot, baby onions, pine mushrooms, carrot, turnip and eggplant. 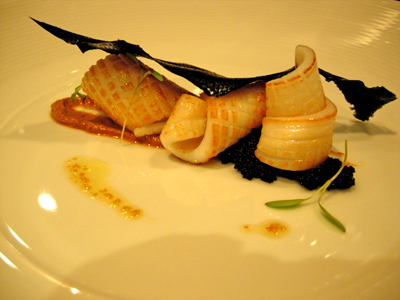 Calamari: sardine, squid ink "caviar"
The squid ink sheet has now got a name - petrified squid ink - the caviar is made using amaranth and I must add that the roasted garlic based sauce is just fantastic - a great match to the tender calamari. 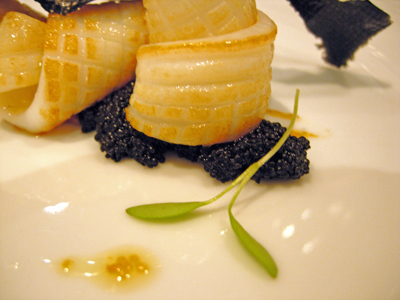 Just a close up view of the Squid ink "caviar"
This is the second newest dish on the menu and we both agree that is the best piece of barramundi we have tasted - the skin was crisp but the flesh was so succulent and juicy and came apart in lovely firm shards. It was cooked simply but with skill that made it a pleasure to eat. 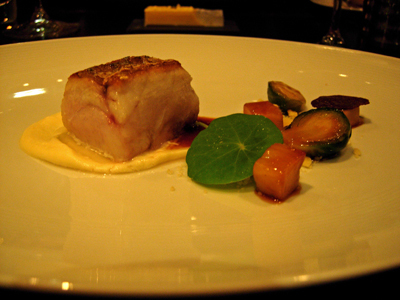 The fish sits on a cauliflower puree with a small pool of lactose caramel to one side. 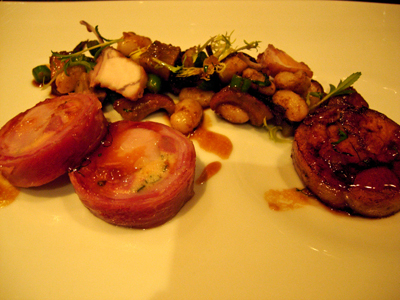 Rabbit presented in 3 ways, individual rabbit ribs were included in the salad of seasonal beans and artichoke. 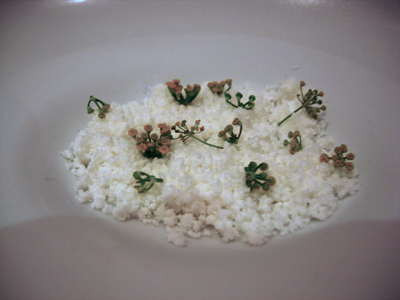 This is presented as a palette cleanser - served on a icy cold plate the goats curd is frozen and dotted simply with fennel flowers. Both elements are quite strongly flavoured - the goats curd having that pronounced sharpness, the fennel quite warming. 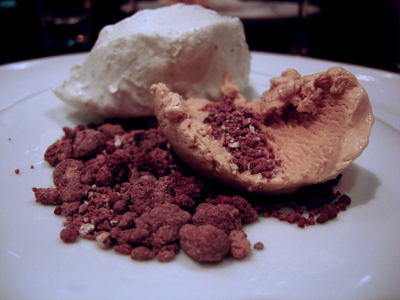 This is the newest dish on the menu - the marshmallow is cooked in liquid nitrogen and if you are fortunate enough to have this dish pay particular attention to the way the marshmallow changes in texture over time. It's such a well balanced dish, the flavours all work in harmony and play off each other, there's different textures, a very well thought out dish and most importantly, thoroughly enjoyable to eat. What a wonderful review and such fabulous photos! You really are a brilliant photographer to be able to get such vivid shots in a restaurant. Despite living in Melbourne for 4 years now I still haven't dined at Fenix. I really must fix that soon! Thanks Truffle, that is so lovely of you to say. I hope you do get to enjoy the delights of Fenix sooner rather than later.